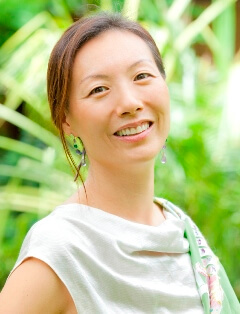 Co-founder and Vision Director of one of Asia’s most awarded wellness retreats, Lahra brings over 20 years experience in strategic marketing and creative planning with multi-national companies in the United States and Asia. With expertise in developing and implementing progressive brand strategies for new market segments, Lahra serves as Fivelements’ wellness concept curator, crafting treatments, menus and programmes that nurture an inspiring environment for enduring profound and positive change. United in a journey of love, faith and transformation and guided through the ancient wisdom of Balinese culture, Lahra and Chicco’s profound path remains today the driving force behind co-creating Fivelements, Bali, the first of a new genre of wellness destinations bridging traditional healing cultures around the world.